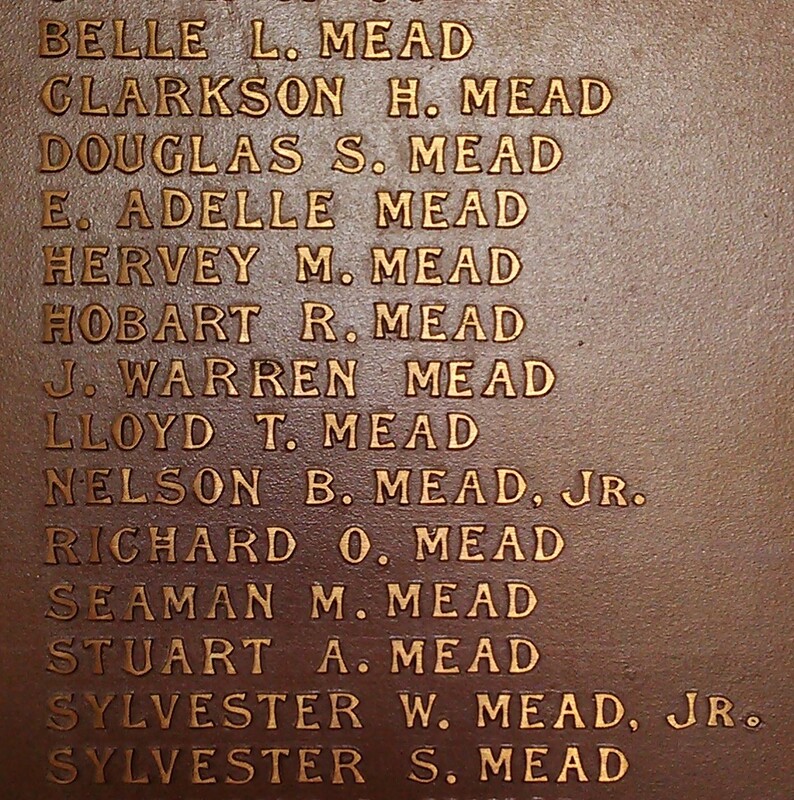 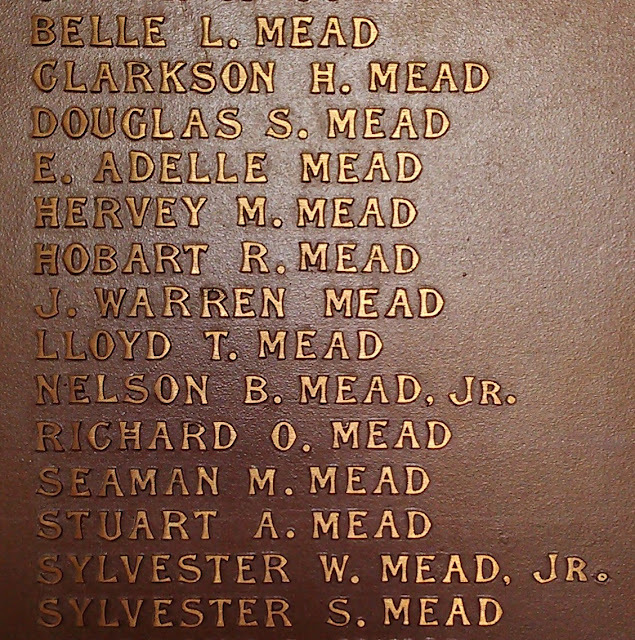 This tablet erected in honor of those of this church who answered the call of their country in the world war 1914-1918. 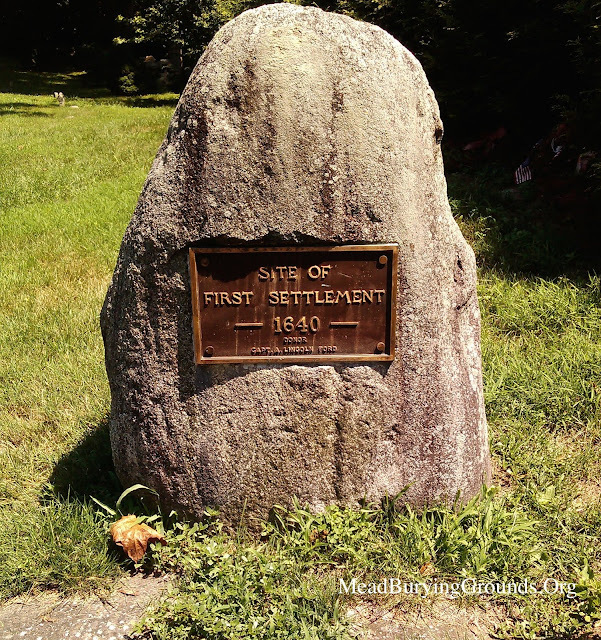 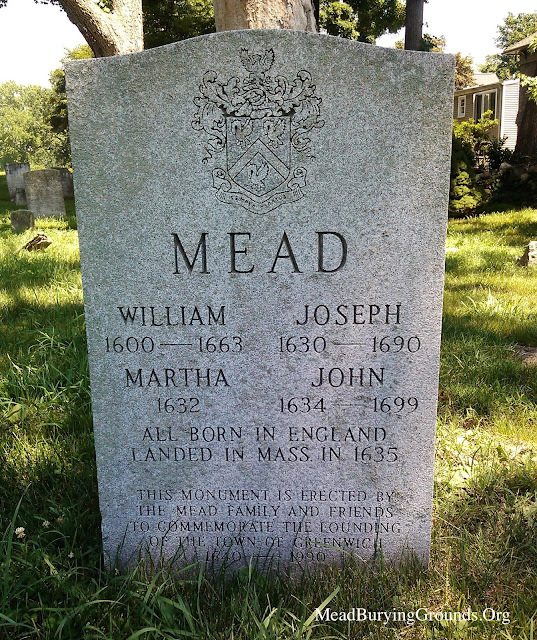 In 1990 -also the year the Town of Greenwich celebrated its 350th founding -Mead family descendants gathered in Tomac Cemetery in Old Greenwich and dedicated this monument. 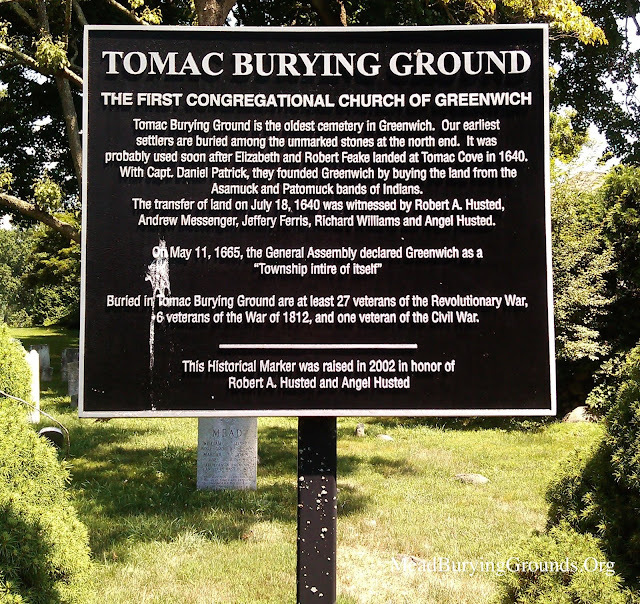 Below are additional images of Tomac Cemetery. 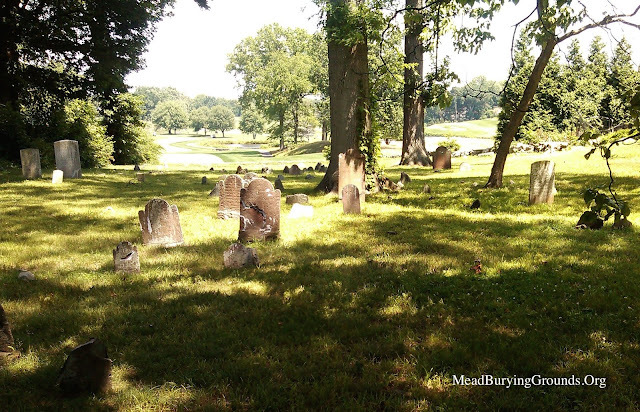 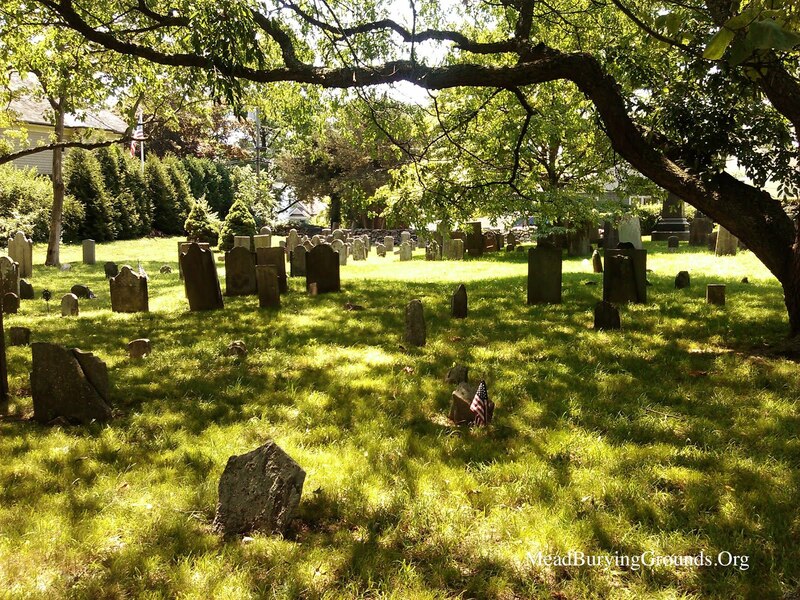 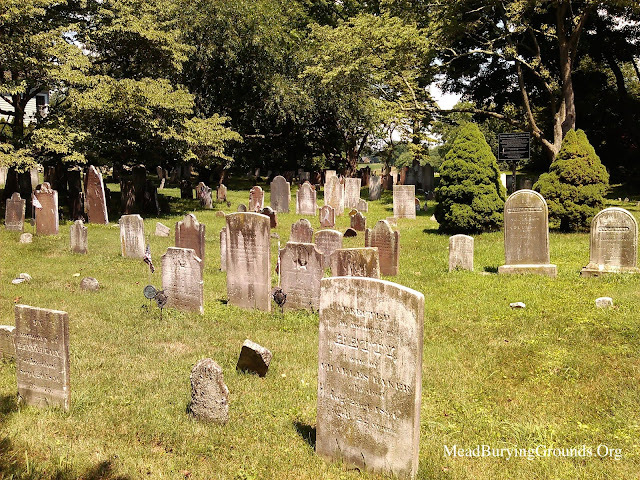 According to the late Town Historian William E. Finch, Jr., the family's original ancestors are interred in this cemetery in the back section among the plain fieldstone markers. We wish all near and far a Happy 376th Greenwich Founders Day.